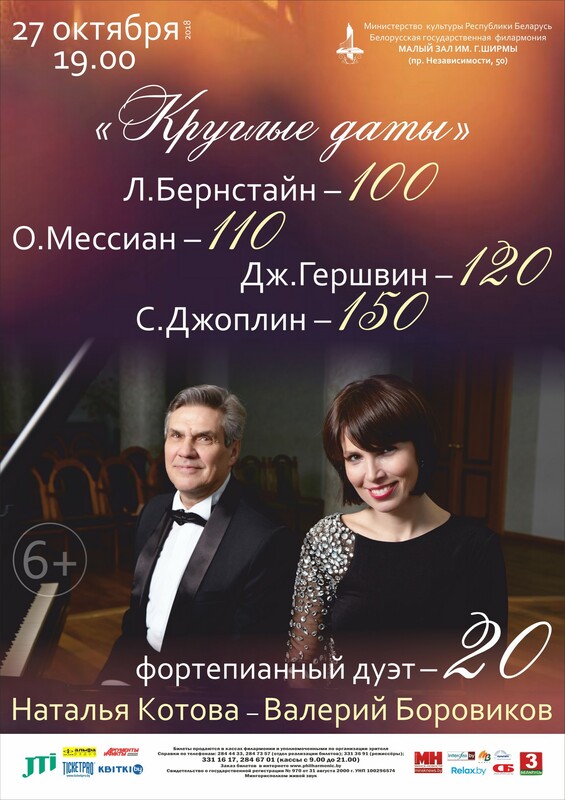 Piano duet Natalia Kotova and Valery Borovikov 20 years! They will celebrate this event “together” with other anniversaries – L.Bernstein (100 years), O.Messiaen (110 years), G.Gershwin (120 years) and S.Joplin (150 years). Despite the venerable age of the composers, the program will be bright and memorable. And surely nobody will be bored!